Wm Zumbar registered this sport of H. 'Royal Standard' in 1986. The large size, 23 inch high mound spreads to about 41 inches in width with wavy, slightly corrugated foliage of average substance. Fragrant, pure white flowers bloom in August. 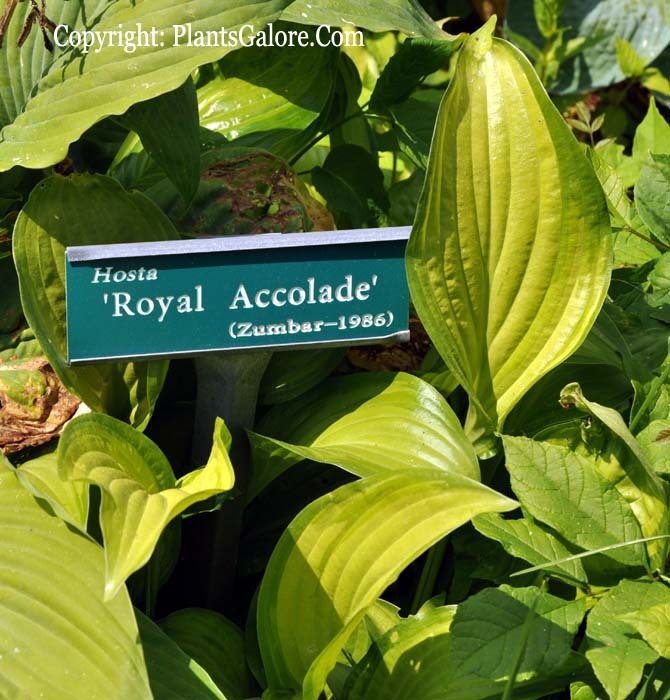 According to The Hostapedia by Mark Zilis (2009), "The fast growth rate and attractive spring variegation make 'Royal Accolade' worth considering as either a specimen or a ground cover." Similar cultivars include H. 'Hoosier Harmony' and H. 'Seth Becker'.